I have recently been burned by a company called Timesure Resolutions Ltd, based in Redditch, with whom I had signed a contract that they would achieve an exit from my timeshare within 26 weeks or I would receive a full refund. I can supply info on why I went with them if necessary. In short, they advised me on the 29th March they could not achieve the termination and my title deeds had been returned to them by their agent and would be sent to me within 2 days, my file had also been passed to their accounts for a refund. Needless to say neither of these has happened, despite a signed for letter being sent to them on 11th April asking for my deeds and payment by 17th April. I am now pursuing a Section 75 claim with my credit card company. Subject to receiving a refund I still want to pursue an exit of my contract, There are many companies offering that service but having been caught once I am more sceptical than I was because most of them seemed to be linked in some way or their owners have dubious records. In addition when speaking to them they all seem to have lots of negative comments to make about everyone else. At the moment I have three companies in mind...Select Resolutions Ltd, TESS (Timeshare exit and Support Services) and Athena Law (Stephen Boyd). I should mention that Select Resolutions Ltd were appointed by Timesure Resolutions Ltd to investigate any mis-selling claim, which they rejected as non winnable. However, they did mention also offering contract exit services if I ever needed them and seemed quite positive when I spoke to them after being told Timesure Solutions Ltd had failed to achieve the exit promised. I was wondering if anyone has had any dealings with any of these companies or knows of any horror stories relating to them. As far as I know , no company has achieved an exit from a timeshare agreement. Basically because there is no exit path from these agreements. That is a massive downside of timeshare. If you are desperate to exit via agreement (as opposed to just stopping payment of annual maintenance charges , at which point your resort will take your timeshare off you!) perhaps you should pursue a legal route to evaluate whether your timeshare agreement is invalid or non-enforceable. jcorrea (Spanish lawyer) is well known and regarded on this web site as offering good, professional advice on individual cases, and is probably your best option rather than pay money to an exit company. I do believe the statement by dave 44 is accurate as far as he believes, however, to infer that no one gets out of a timeshare is inaccurate, as I have heard of many contracts being terminated, some by the owner themselves, some by the payment of an exit fee, whilst other by lawyers. I fact, I was relinquished from a timeshare and I used the services of a relinquishment company some years ago. I still retained some others I was happy with. In your case, your looking for assistance and rightly considering options and companies to assist you. The rule as told to me is, make an appointment with the one you like and then go and see them. Have a chat with the person who will be handling your case and see their offices for yourself. Make sure they display their company certificates licences etc. 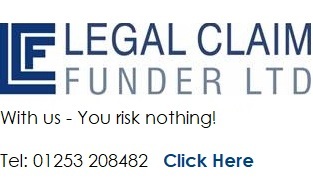 Many will recommend a law firm to you on this and other platforms however, the fact is they could be recommending themselves just like CLC did last week. I am afraid to say that you must find out for yourself and go with your gut feeling. I would have liked to recommend that you speak to a Solicitor, however, there is at least two which are the very worst offenders and take the money and do nothing. Thank you Daveh44! If I can be of any help I'll be pleased. If old_wrinkly wants to send me a PM or an email, I will have a look to the documentation and advice on possibilities, either with me or others. This initial advice is for free. Hi jcorrea, I have sent you a PM. Received and answered via email!